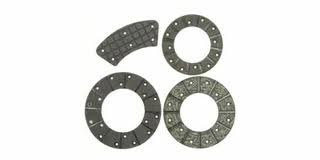 At Industrial Brake and Supply, our high-quality clutch facings are a prime example of the kind of fine friction products our company has been known for since 1971. 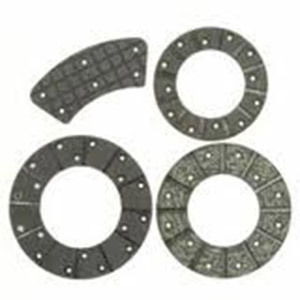 We manufacture clutch facings in a variety of styles, thicknesses and frictions for our customers in Ohio, Tennessee, Pennsylvania, West Virginia, South Carolina, Georgia, and Florida. 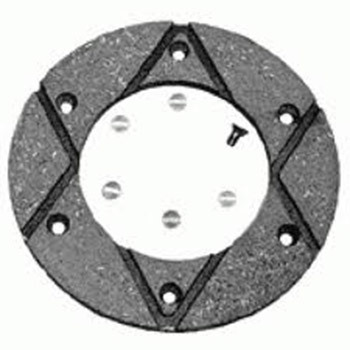 Whether for industrial on/off highway or in-plant applications, IBS can provide our standard or custom-designed clutch facings to suit the friction need required. IBS has a vast inventory of friction materials available to produce both woven and molded style facings, with thicknesses that range from 1/32" to 3/4" available. 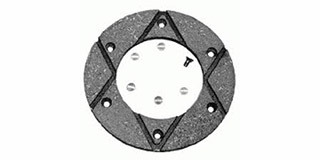 The friction of our clutch facings comes in varying strengths as well, with ratings of .12 C.O.F to .60 C.O.F. Further options include spline or external teeth, and facings that come in both full ring and the segmented variety. Our gear tooth facings have the options of either internal or external splines. Please contact Industrial Brake & Supply directly to learn more about our clutch facings and how they can fill your friction-product needs.